The natural and FREE choice for businesses that work closely with the environment. 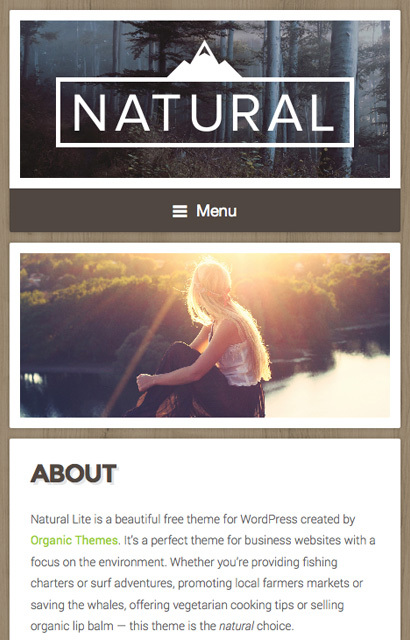 The Natural Lite theme is crafted for businesses that work closely with the environment. 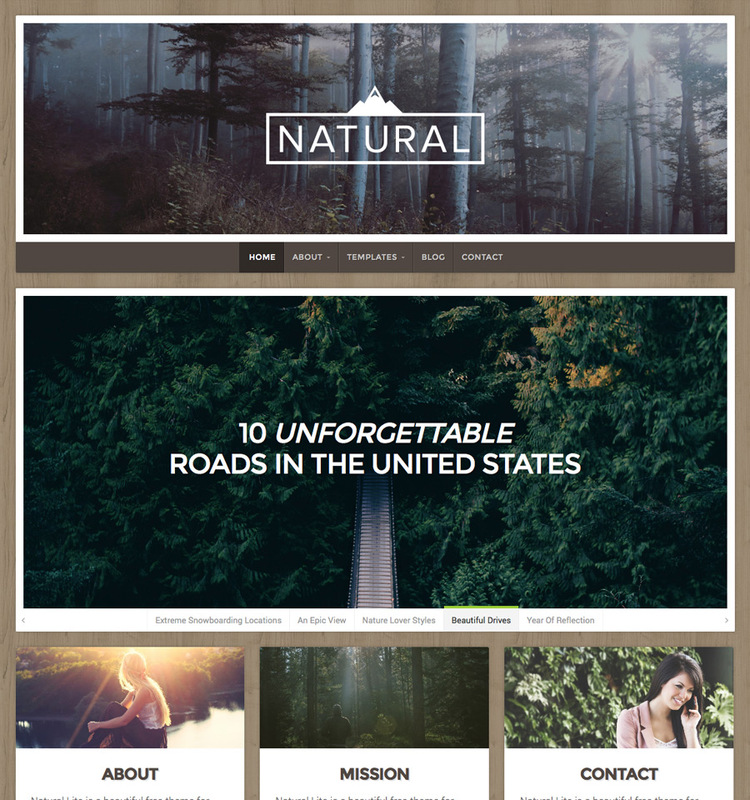 It’s a free WordPress theme featuring a beautifully responsive design with an earthy appearance. Natural Lite is clean and modern with a touch of nature. As a result, it’s a perfect WordPress theme for natural brands, organic products, eco-tourism, travel blogs and any website with an earthy appeal. The theme features several options within the WordPress customizer, including the ability to upload and align your custom logo, display a content slideshow, and promote featured pages and posts. The setup is simple. So, you can have a website up and running for your business in no time. Theme support is not included with Natural Lite. However, there is a premium version available that includes support, documentation, automatic updates, additional page templates, features and options. Remove Those Pesky Footer redits! Get our Footer Change Plugin, and take all the credit for yourself! Start building your website with the Natural Lite!